The foot has over 7,000 nerve endings, also known as reflex points. When various reflex points are stimulated that induce a healing response. If sensitivity or tenderness is experienced this indicates bodily weakness or imbalances, and with repeated practice these channels of blocked energy can be cleared resulting in improved overall health. Put on socks and use the easy to follow diagrams to locate corresponding organs and systems of the body. 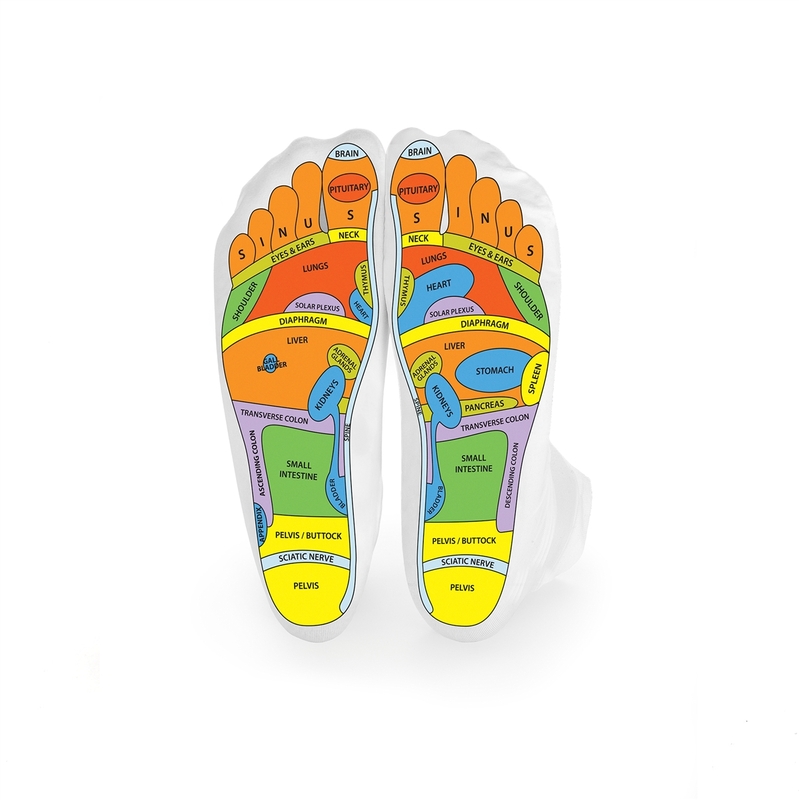 Gently apply pressure to the reflex zones of each foot to start the healing response. Machine wash cold with like colors, line dry.